﻿ Best Price on Canaima Chill House in Santa Teresa + Reviews! 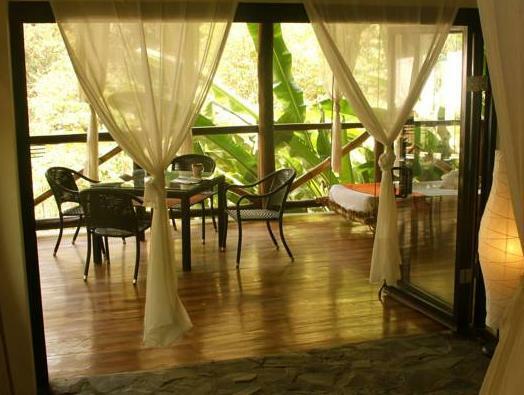 This eco-friendly, boutique hotel is in pretty Santa Teresa on the Nicoya Peninsula. It offers spacious and rustic suites, an outdoor hot tub, swimming pool, massage services, and a chill-out terrace. 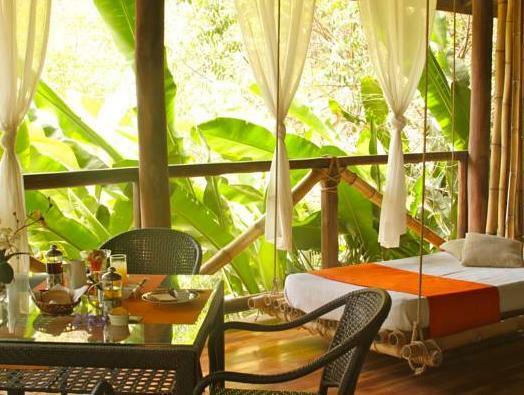 The Canaima Chill House suites feature a balcony, kitchen, dining area, and bamboo hanging beds. Each includes a mosquito net and ceiling fan, an iPod dock, safe, and spacious private bathroom. Free Wi-Fi is also included. Canaima is just over a quarter mile from Santa Teresa Beach. The hotel offers activities such as horseback riding and snorkeling on Tortuga Island, 30 minutes from the hotel. 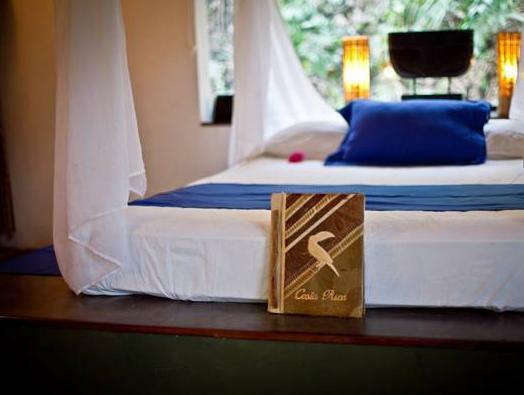 Canaima Chill House offers free parking and is a 5-minute drive from the Cabo Blanco Nature Reserve. It offers airport shuttles for a fee to both Tambor Airport and Juan Santamaria International Airport. Canaima Chill House is on a hill off of the main road, so a vehicle is quite necessary. Please note that a fixed amount of 100 USD must be paid in advance. The hotel will contact you after you have made your booking to arrange payment by bank transfer or Paypal. Reservations are not confirmed until this deposit is paid. The deposit won´t be refunded in case of cancelation. The rest of the payment will be made upon arrival in your check in. Canaima Chill House does not accept any credit or debit cards, only cash in USD or Colones. A discounted booking cannot be modified. In case of early check-out for such a booking, no amount will be refunded. The property recommend a 4x4 vehicle for the dry season from December to April , and during the wet season between May - November it's needed. If you wish to rent a 4WD car in San Jose or have a 4x4 Quad Bike upon your arrival at the Hotel, they can help you to organize it for you. Just get in contact with them. Please inform Canaima Chill House of your expected arrival time in advance. You can use the Special Requests box when booking, or contact the property directly using the contact details in your confirmation. Payment before arrival by bank transfer is required. The property will contact you after you book to provide instructions. arrivé grâce au lonely planet, cette adresse m'a enthousiasmé au plus haut point. Petit bémol, les chiens de l'hôte, forts sympathiques, sentent vraiment très fort et il faut avouer que c'est incommodant, sinon ce fût une magnifique expérience.